Research has shown that chronic inflammation can be a root cause for many serious illnesses, including heart disease, certain types of cancers, some autoimmune diseases, and even Type 2 diabetes. In addition, managing persistent inflammation can be the key to reducing painful symptoms from conditions such as arthritis and fibromyalgia. Although inflammation can be your body�s main response to healing, if it persists and serves no useful purpose, it can seriously damage your health. 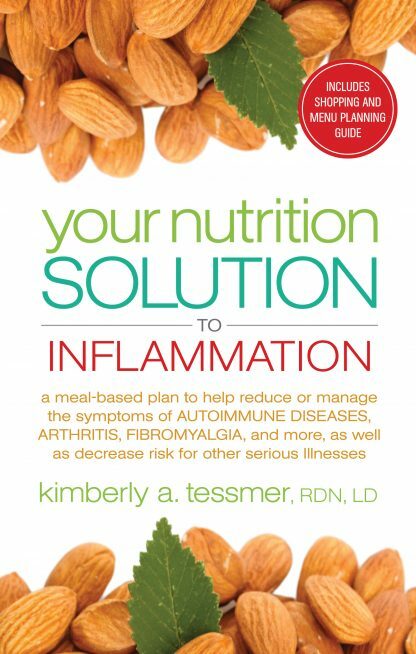 The latest medical information on inflammation, as well as a simplified overview of diseases related to inflammation. Tips on nutritional intake, anti-inflammatory foods, and the lifestyle changes needed to find relief without relying on medications. Other nutritional supplementation that can aid in your journey to find permanent relief. Easy-to-follow meal plans to help you establish a life without the symptoms and pain of inflammation. A pill isn�t always the answer!